The Association of Elderly Medicine Education (AEME) are delighted to announce that they have recently been awarded a prestigious national prize! AEME have been awarded the 2015 ‘Educator Innovator Award’ by the Educator Development Group (EDG) of the Association for the Study of Medical Education (ASME). 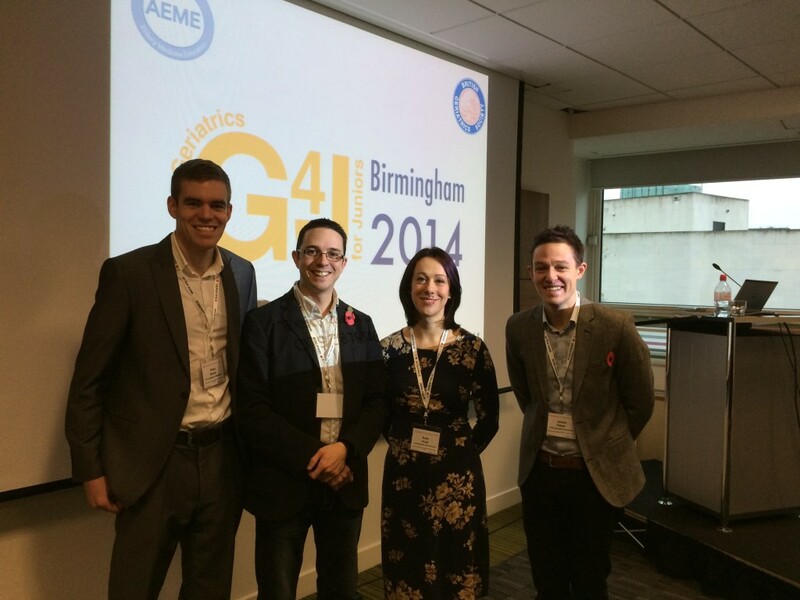 Team AEME are really looking forward to attending ASME’s annual scientific meeting this summer in Edinburgh, UK (15-17 July 2015), where they have been invited to give a 20 minute oral paper on their work during the EDG “What’s Hot in Learning and Teaching Innovations in Medical Education?” forum. We’d like to say a big thanks to ASME for this award and also to all of the people who have helped AEME along the way so far – hope to see some of you there in Edinburgh this summer!